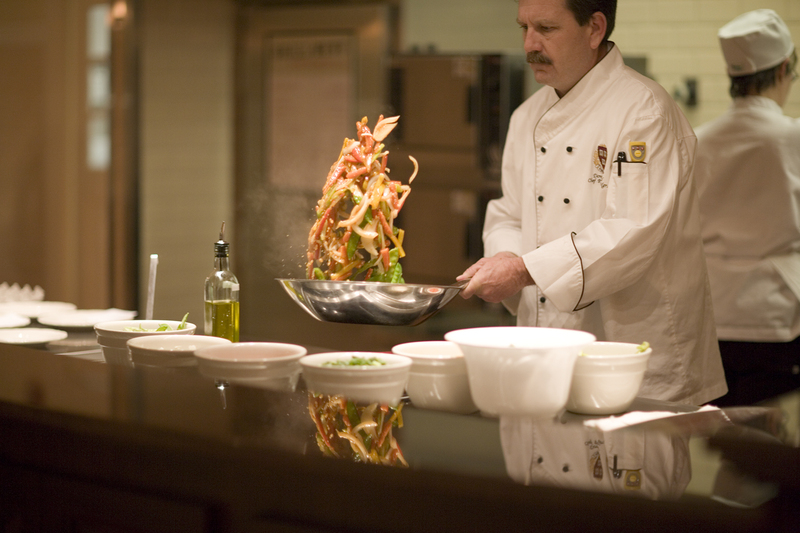 Mather Dunster became the nation’s first LEED-CI kitchen when it achieved a LEED Silver rating in 2006. All thirty of the LEED points attempted were accepted by the USGBC. 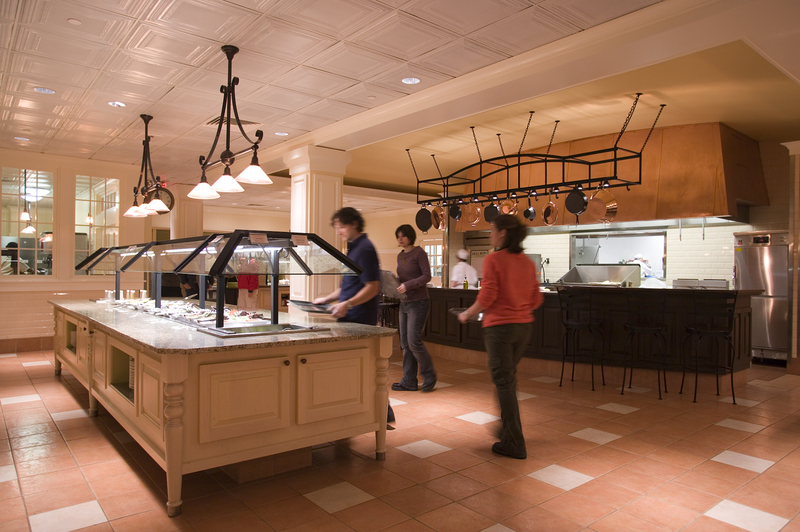 This project is a 15,870 square foot renovation of the kitchen and serveries for Harvard University Dining Services (HUDS). 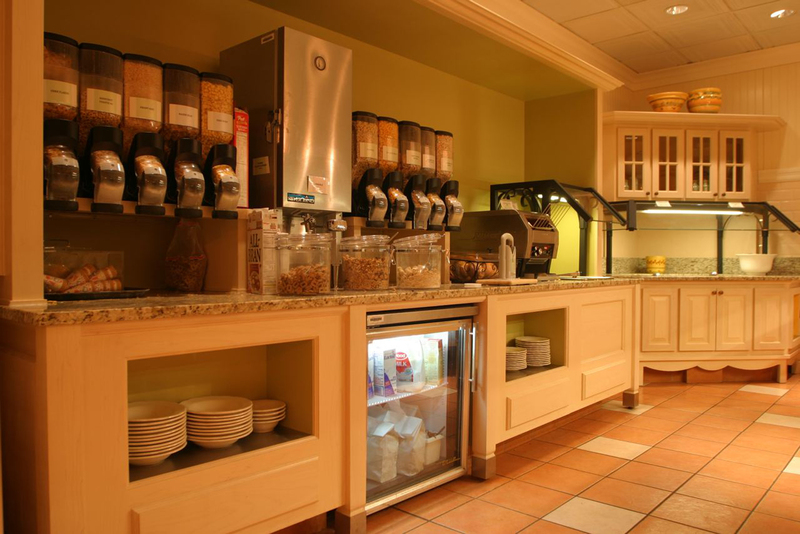 The primary impetus of the renovation was to improve functionality for the kitchen staff and to create a more pleasant dining experience for the residents of Mather and Dunster Houses. Replacing and refurbishing kitchen equipment, such as range hood exhaust controls and efficient dishwashers, has improved the kitchen’s performance while drastically reducing energy consumption. This was a very fast-paced project, completed entirely during the 2005 summer break while students were away. The Mather Dunster kitchen renovation used all low-VOC adhesives, sealants, paints and primers and composite wood with no added urea formaldehyde. Throughout the project, efforts were made to reuse and refurbish materials. New kitchen equipment was purchased based on its energy efficiency and all old equipment was shipped to Spanish Town, Jamaica for use in area orphanages. Through an aggressive construction and demolition waste plan and with the assistance of the Institution Recycling Network, the project was able to divert more than 95% of construction and demolition materials from landfills. Food waste is composted using a pulping machine and waste cooking oil is saved for use in biodiesel shuttle buses.